Brandenburg’s engineers utilize civil 3-D Computer-Aided Drafting (CAD) programs to create accurate terrain models for earthwork projects. Areas and volumes are calculated with some of the most advanced survey equipment on the market. In conjunction with the CAD software, the survey equipment such as Robotic Total Stations and Global Positioning Systems (GPS) are used to perform precise surveys and document important locations of the site. Background maps and Digital Terrain Models (DTM) are utilized to accurately navigate specific elements of the site and accurately determine the designed grades of the entire project. 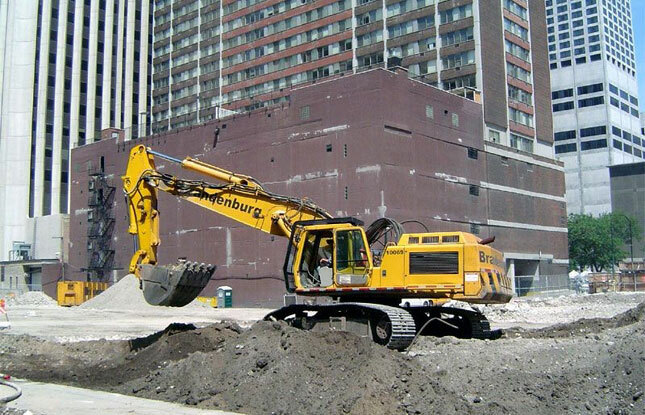 Brandenburg owns and operates specialized equipment that is adapted for the demolition and removal of below grade structures including foundations, grade beams, pile caps, and piling of all types. The company also specializes in excavation projects which involves difficult access, variable soil conditions, and hard-to-excavate materials.